We have a PASSION for CREATING solutions! Welcome to the November addition of the Hegwood Electric Newsletter. Our newsletter delivers a snap shot report for technology updates and industry news about Industrial Automation and Controls..and our role in all of it. We hope this gives you some "mind candy" to think about and in particular your own applications and requirements. If you want some more information on any particular subject and how we can assist, please contact us. Visit our Website for Information and the Gallery! For us here in the United States, November is a signal that the year is quickly coming to a close. Thanksgiving at the end of the month is a special holiday time to spend with our family and friends. We look back over the year and as the holiday implies, give our thanks for the year past, our family, friends, and customers. We're even thankful the presidential election is now in the past! Of course with Thanksgiving comes great food. 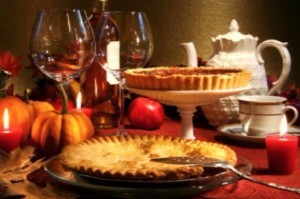 The following link has four fabulous Thanksgiving Desserts. Enjoy! Four Thanksgiving Desserts from G&G. All of us here at Hegwood Electric do sincerely appreciate you, our customers, friends, and family, and wish you all a Happy and Blessed Thanksgiving. Sensors and the PNP and NPN discussion is often one that leads to confusion, mis-orders, and incorrect schematics. What is the difference between PNP and NPN? PNP is sinking 24Vdc inputs. NPN is sourcing 24Vdc. There is a good article on this subject in Control Design for Machine Builders. You can also download this report from our website at Hegwood Electric - News. The last couple of weeks have been busy with training and education. Hegwood Electric is continuously learning about and training for new products. The amazing changes in our industry, hardware and software, forces us to keep our Passion for Creating Solutions. To stay up on the newer and more current solutions, we often go to trade shows and expos such as those below. The first expo we went to was the Georgia Automation Expo 2016. 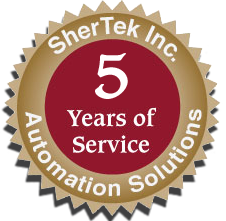 We would like to congratulate SherTek on their 5th anniversary and their hosting of the Expo. There were a number of products being displayed and demonstrated which is always interesting and brought up a number of possible solutions for our customers. 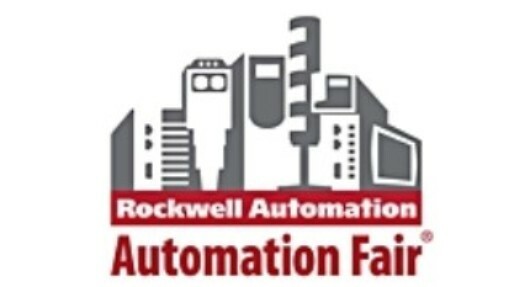 Secondly, we attended the Rockwell Automation Fair at the Georgia World Congress Center. The push at the fair this year is The Connected Enterprise. The Hegwood staff took a number of courses in different subjects including RSLogix 5000, ePlan, connectivity, and more. We would like to thank the staff at McNaughton-McKay for the invite. If there are some subjects or products of interest to you that Shertek, McNaughton-McKay, or any of our other vendors offer, we would be glad to assist. Just send us an email or give us a call. There has been a HUGE amount of interest and growth of IoT (Internet of Things) and IIoT (Industrial Internet of Things) over the last year. We've designed and connected control systems to the Internet for close to 8 years now. Before those Internet designs, we were using satellite for systems located in Haiti, Ghana, and other sites. “The key to evolution is sensing,” Son said. Those 1 trillion IoT devices, equipped with sensors and intelligent silicon, will collect data and convert that into the Cloud, helping to spread AI (artificial intelligence) and making it a quickly approaching reality. Mr. Son is correct when he states, "Whether we like it or not, technology will evolve." The technology we work with today is already pretty much obsolete. If we allow for connectivity however, that technology with access to information becomes EXPONENTIALLY more powerful. A simple example is our health data transmitted to our smart phone by a Fitbit, Garmin, iWatch, etc. We can track the distance walked, our heart rate, calories burned, and so on. That is neat and helpful. What is we connect that data via wireless Ethernet to an IBM Watson. 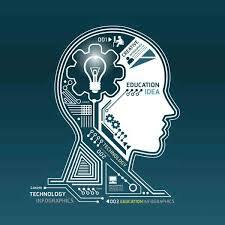 Now we have cognitive health and the information becomes EXPONENTIAL. Why, because as the above link states, Watson can read 200 million pages of text in 3 seconds and diagnose much quicker and more accurately. Just wait until we bring this type of technology to the factory floor! I always hope to leave you with a thought or two garnered from this newsletter. Quotes often in a very concise manner assist with some thoughts. I hope the following do so. As always, we're trying new ways to inform and entertain, including this newsletter. We're trying a new format and if there are any thoughts, for better or worse, please let us know. We hope you have found this newsletter informative and entertaining. If you have any interest in our products or Hegwood Electric services, please let us know. Copyright © 2016 Hegwood Electric, All rights reserved.